David Meng Art: Happy Birthday Charles! 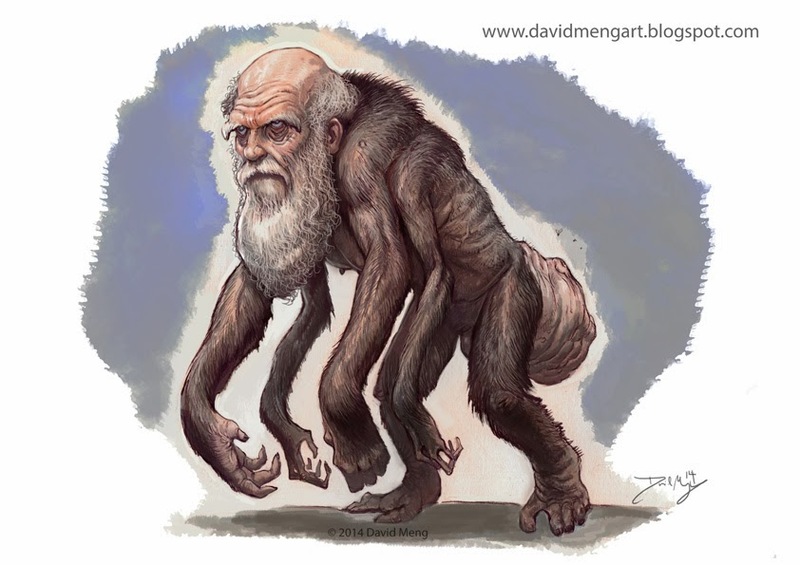 Inspired by nineteenth century cartoons which lampooned Darwin for his theory of evolution, specifically as it applied to humans. I just took it a little further... Absolutely no disrespect intended, I just have a ribald sense of humor at times. Incidentally, it is Darwin's birthday today!